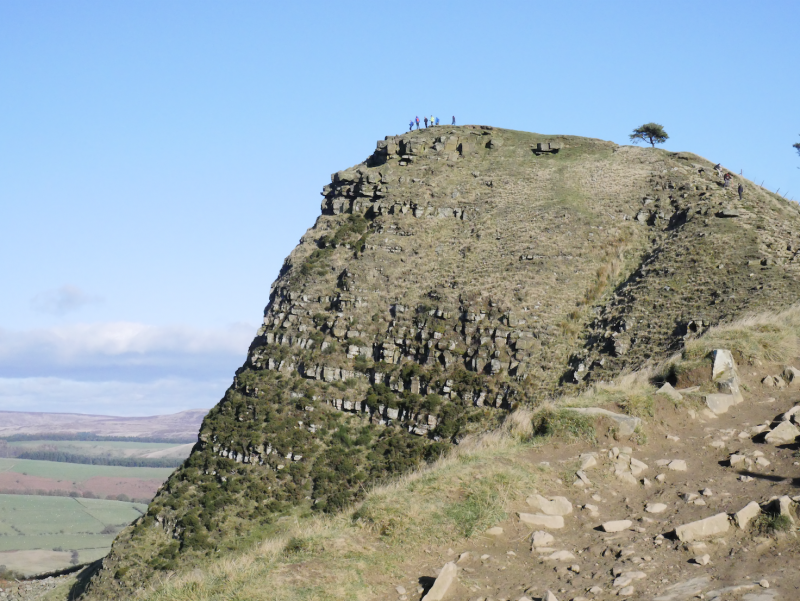 Peak District… The words rolled thickly off my tongue, full of reluctance. It has been nice the few times I’ve been and all that but it’s no Snowdonia or Scotland. It just doesn’t fill me with inspiration – and not to forget that it’s the busiest national park in the country. The idea of heading outdoors surrounded by crowds of people just doesn’t fill me with excitement. 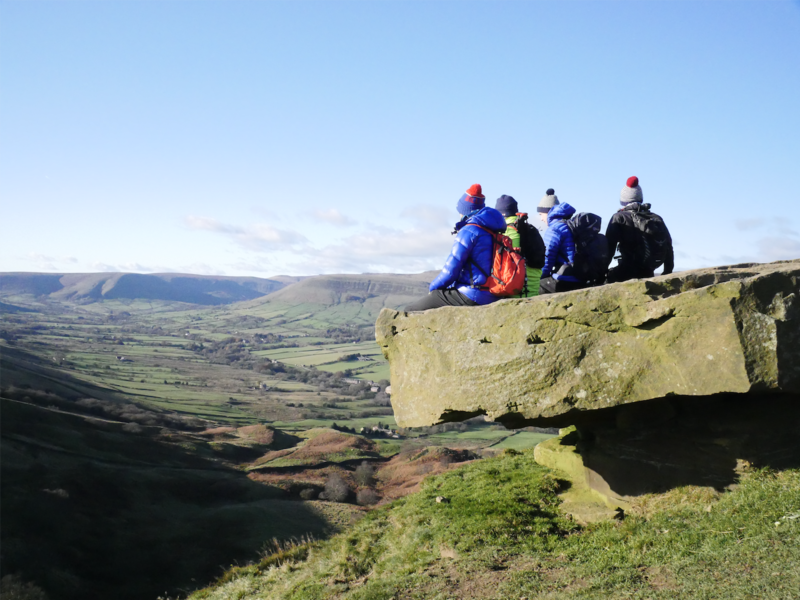 However, when it came to deciding where we were going to go the Peak District was a nice middle ground for the group. 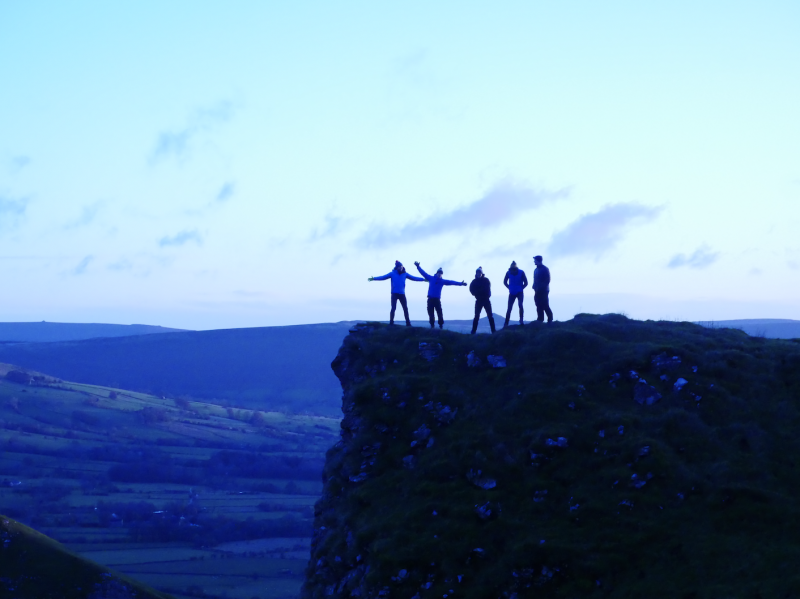 And so it was settled – we all booked into Castleton YHA and packed for a weekend of activity. This weekend we decided that we’d take advantage of having so much on the doorstep and would be cycling and walking straight from the doors of the YHA. 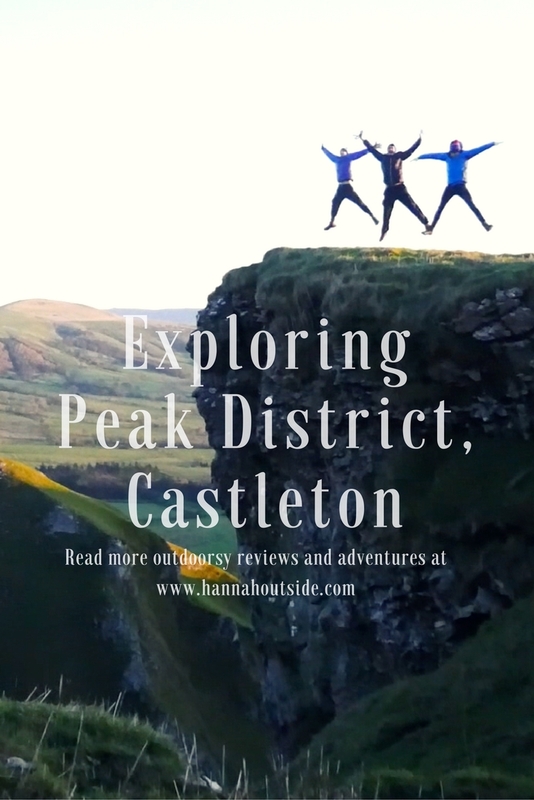 Contrary to my first impression of the Peak District being a bit naff, it was absolutely fabulous and I thoroughly enjoyed staying in a place with so much to do right on the doorstep. We cycled to Hope and taking the turning on just the other side of the village to Aston we began to climb. The mud to start with was unbelievable – we were slipping and sliding all over the place. We were aiming for the ridge back leading to Win Hill. After the first 45 minutes of climbing we were out of the worst of it with lovely firm but soft peaty ground of the top of the ridge. Ditches full of muddy water were interspersed with cracking smooth terrain and lots of rocky paths making for a fun and interesting ride. It was certainly a mental challenge to keep the mind focused on making sure my arms and shoulders were relaxed – to let the bike do the work with rolling over the rocks. 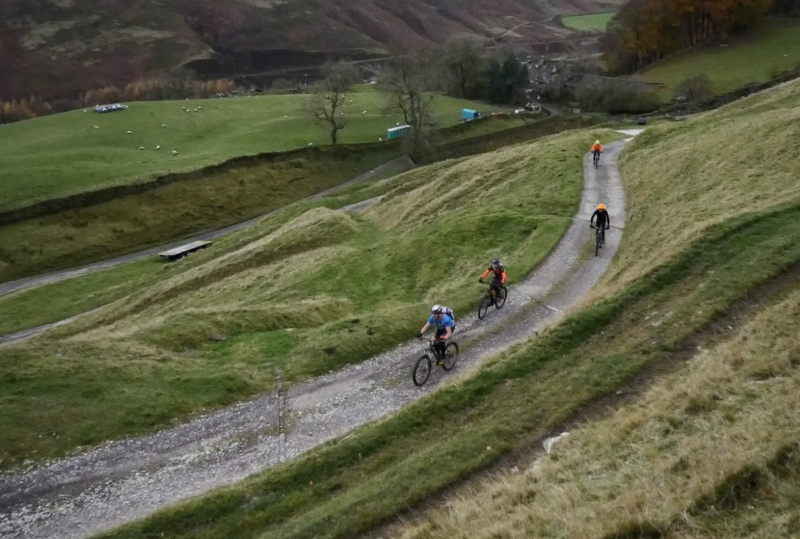 It’s been a long while since I rode anything like this and I was really shocked by how quickly your confidence goes when you’re not riding regularly – trusting yourself and trusting the bike is so important when it comes to off-road riding. By the time we got back to the hostel though I felt on such a high – why do I not do this more regularly?! One thing is for sure though – I want to try out new shoes and pedals. My current shoes are spd and are actually slightly small and definitely worse for wear. Although I have a cage around the cleats themselves it’s often not the easiest to clips in and out on rough terrain. I’m keen to give flats a try and so looking for recommendations on pedals and flats (although there doesn’t seem to be many options for the female rider?). Getting up for sunrise can be a little bit of a chore. When you wake it’s dark and cold and really all you want to do is turn over and go back to sleep. Other than the cold though there’s really no excuse not to go and as we were surrounded by beautiful places to view the sun rise from it would have been simply rude not to make the most of it. 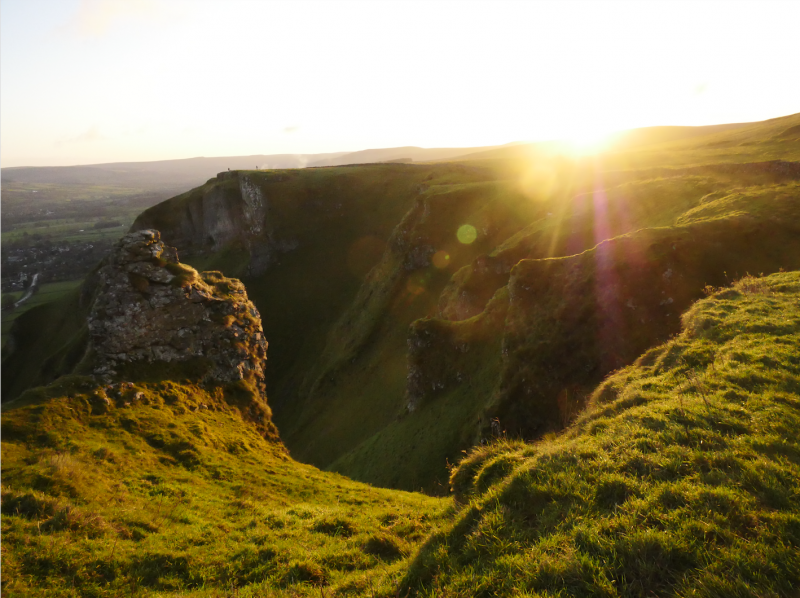 Once we were up and wrapped up cosy and warm we set out for Winnats Pass. Good old Instagram had provided plenty of inspiring sunrise images and I knew this was the place I wanted to be. Skies were perfectly clear and I had high hopes for the sunrise being stunning. It would have been wonderful to get the drone up but the wind was much stronger than forecast and so it was a no-go – not that it was really much of an issue because the whole thing – the light, the setting were incredible. 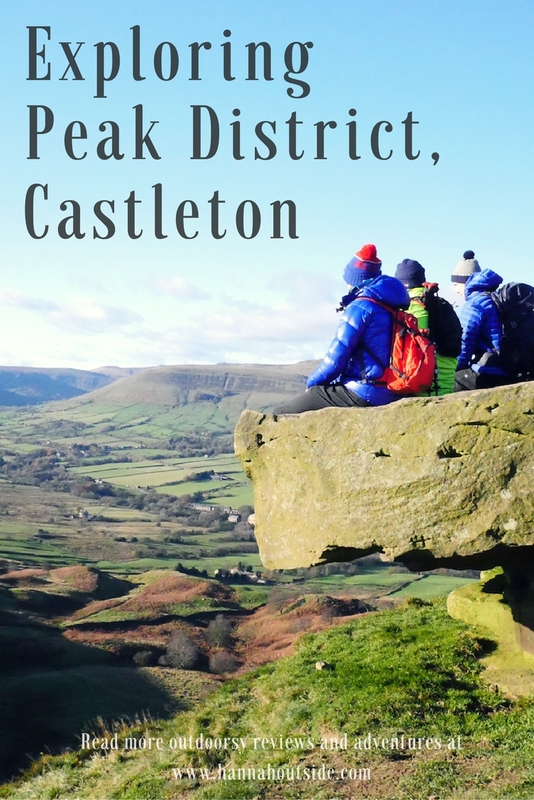 The walk over Mam Tor from Edale is the only walk in the Peak District I had really done before but as it was on our doorstep – and Tom had never done it before – I was keen to give it a go from the Castleton side. Setting out straight from the door of the YHA we followed footpaths up onto the old road. A landslip there meant that the road was unusable for vehicles but for those on foot it now provided an interesting route up the hill. Large pieces of tarmac jutted out over the side of the hill, with large drops over the side – it was very evident where the land had slipped away beneath it. As we got closer to the road beneath Mam Tor itself the crowds started to close in. We’d been so lucky with the day – beautiful sunshine with a crisp nip to the day. 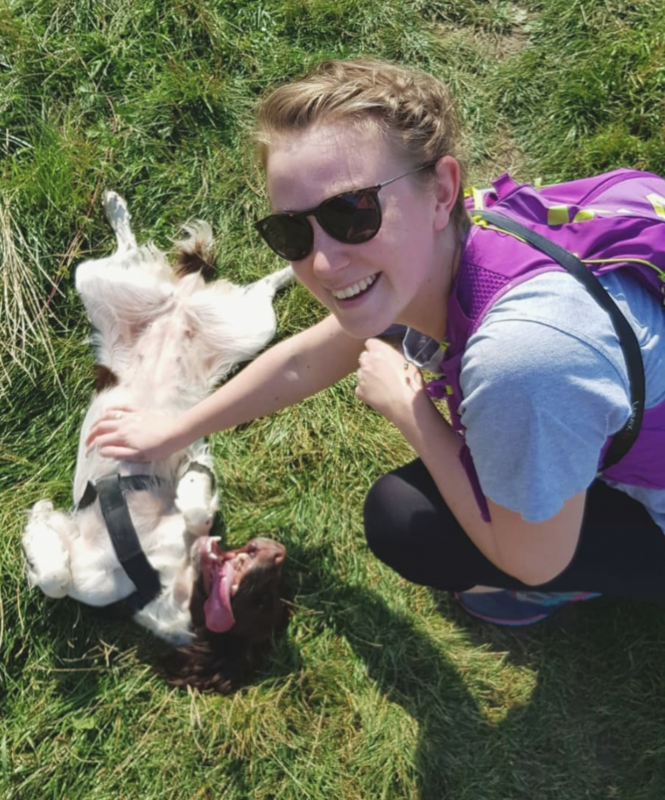 I love it when the weather is like this – it’s so satisfying to be out and about and feeling alive. It was busy – but it was also buzzing. It was fabulous seeing so many people out enjoying themselves (although it made it tough to get a good shot!). 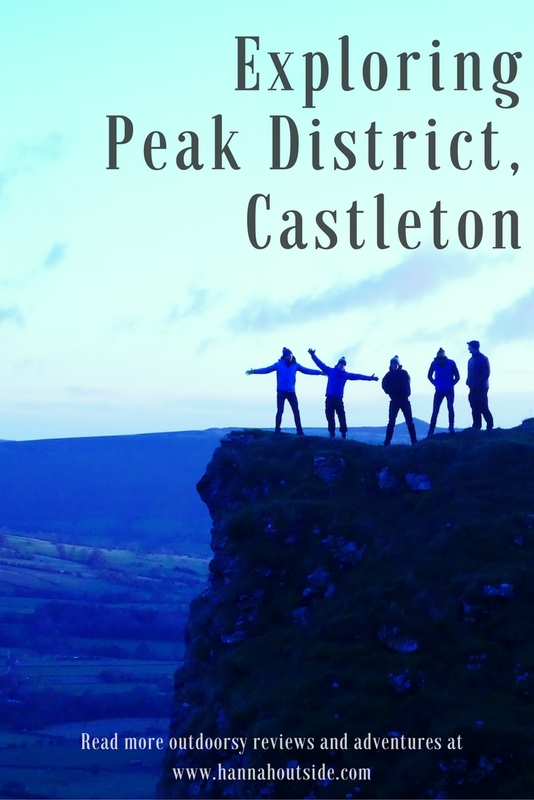 We made our way along the ridge to Win Hill before making our decent back into Castleton and back to the YHA before setting out home. Check out the videos – there are two to choose from: a shorter, one minute video, or a longer two minute clip which includes the bikes, too. The shorter video can be found on my Instagram Hannah Outside here. If you liked this make sure to check out my Pembrokeshire video. Don’t forget my Snowdonia video, too. 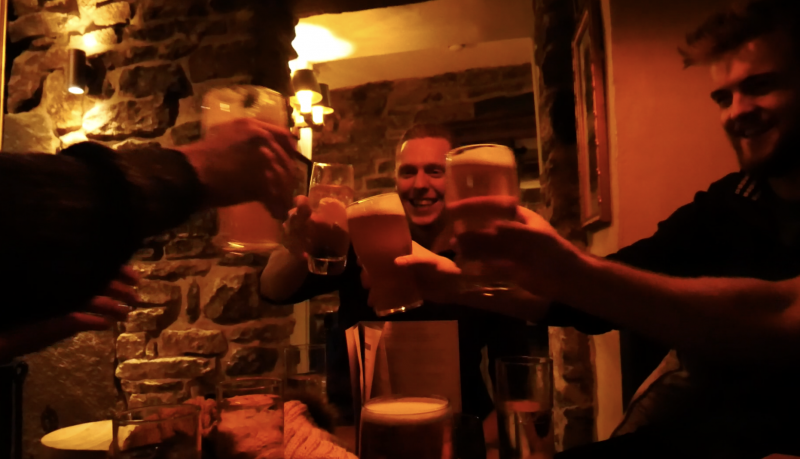 Also, Castleton has some top pubs! 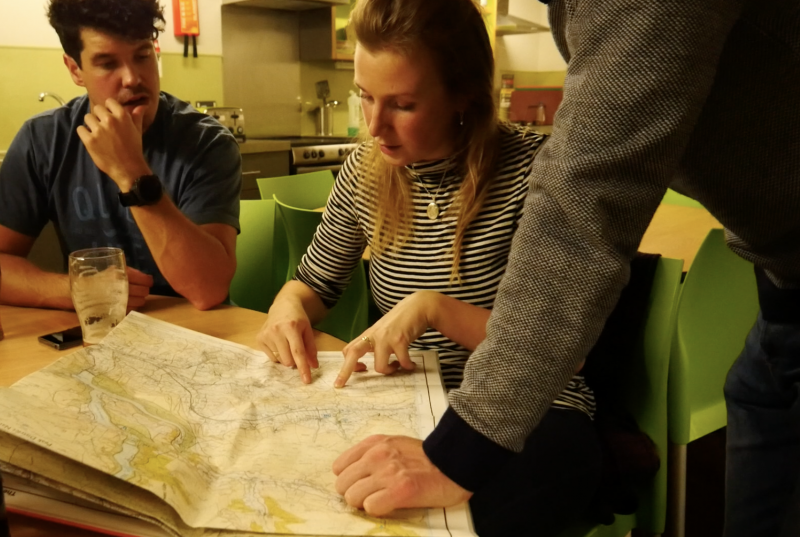 Watch out for the next video at Keswick YHA! 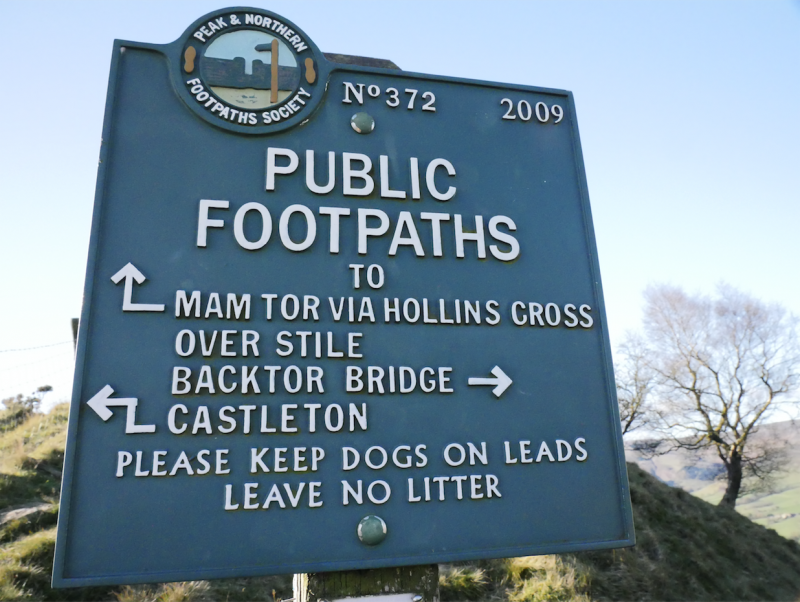 Fingers crossed for some top winter walking and scenery.